Andy Rubin’s new Essential Phone is so devoted to minimalism that the company doesn’t even put its own logo on the device. In fact, there aren’t even any of the ubiquitous regulatory hieroglyphics anywhere on the device. Well, so I thought. It turns out that all those markings are still there – they’re just hidden in a really clever fashion. Essential stuffs it all onto tiny plastic card hidden in the SIM tray. On one side of the card are regulatory symbols. On the other are the product name, serial number, IMEI, and a QR code. It’s my favorite little design detail about the phone. Granted, my eyes have basically learned to tune out these markings on phones, but it makes the PH-1 look squeaky clean. I wouldn’t be surprised to see other phones follow suit soon. To be fair, it’s not the first company I’ve seen tuck away regulatory and manufacturer info. Dell, for instance, hides them under a magnetic flap on its XPS laptop. 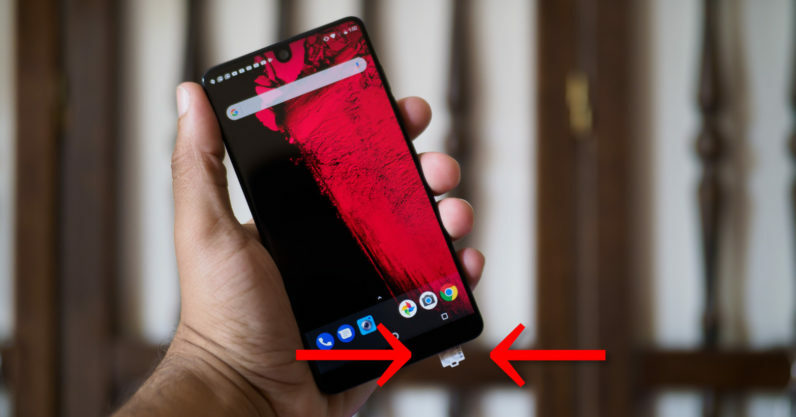 Still, it’s the first time I’ve seen this on a phone, and the PH-1 is the first a gadget of any kind I know to hide both regulatory symbols and brand logos. The Essential Phone is too minimalist for its own good in many ways – most notably a disappointing camera – but that kind of design commitment is why I still think it’s one of the best phones of the year.